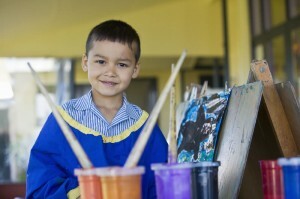 St John’s School, Silkwood is an integral part of Catholic Education in the Diocese of Cairns. St John’s School prides itself on being both Christ and child centred, providing excellent teaching delivery to the students we serve. Our purpose is to provide an educational environment that allows students to learn together to achieve their personal best in a united, caring and Christ-centred environment. We aim to empower students to reach their true potential so that they can be life-long learners and active contributors to our society and the local community. We strive to provide a holistic education by developing the ‘whole child’, not only academically, but also physically, culturally, socially and emotionally. This inclusive education takes place in an environment formed by Gospel values and the teachings of the Catholic Church. In partnership with families and our community, we nurture the foundations for achievement that are essential to social and emotional wellbeing. These foundations are essential for success in school, home life, work and the world of tomorrow. Social and emotional learning is integrated into all areas of the curriculum. As a Catholic school, we are an extension of the church and strive to make the life of Jesus real and personal for each of our students. Religious Education is part of our daily routine.